While reading Crime and Punishment last night, I came across a passage that made me realize something about myself. Though I am not a murderer, not being investigated by the police, and have a perfectly clear conscience, Lent is showing me that I am just like Dostoevsky’s character, Raskolnikov. Lent makes me annoyed at God. He felt very miserable. If it had been possible to escape to some solitude, he would have thought himself lucky, even if he had to spend his whole life there. But although he had almost always been by himself of late, he had never been able to feel alone. Sometimes he walked out of the town on to the high road, once he had even reached a little wood, but the lonelier the place was, the more he seemed to be aware of an uneasy presence near him. It did not frighten him, but greatly annoyed him, so that he made haste to return to the town, to mingle with the crowd, to enter restaurants and taverns, to walk in busy thoroughfares. There he felt easier and even more solitary. In this season of Lent, I am slowing down, praying, fasting. But that slowness and focus on God and my relationship with him, is showing me just how like Raskolnikov I am. I would rather feel “alone” by distracting myself, than sit with myself and the “uneasy presence” of my Creator. In fact, I am so addicted to activity and accomplishment, that I have to put prayer on my to do list! I need the satisfaction of the checked box to motivate me to get on my knees. And despite that, it’s often the last thing that I do on my list. It is my job to deal with, study, teach, and proclaim “transcendent truths” about the Creator and Redeemer of all things. Yet, I am so used to being distracted (and shielded from “deep, honest reflection”!) that Lent is making me annoyed at the God I’ve devoted my life to serving. And yet, I’m encouraged. Because the revelation that I’m annoyed at God is a revelation of my sinfulness. I will scratch and claw and do all that I can to avoid dealing with the God who made me and loves me in Christ. I do that because I want to be a “sovereign individual.” I want to be in charge. The boss. The King. But I’m not. And even if the main thing I’m learning in Lent is that I am more sinful than I realized, that will have made it worth it. Because the revelation of my sin is an opportunity to repent and believe the gospel again. It’s a reminder that Christ is a better King than I will ever be; he will never leave me or forsake me (Hebrews 13:5). So far, Lent has been a testament, not to my faithfulness, but to God’s. It’s showing me just how desperately I need his grace. Slowly, I’m learning to sit and be in God’s presence. His constant, ever-faithful, never-leaving presence should not make me annoyed. It should give me joy, because it’s good news. In April, Alameda voters will be asked to decide whether former Federal Government facilities on McKay Ave should be used to house the Alameda Wellness Center (which will be built and operated by Alameda Point Collaborative). Alameda City Council voted 4-1 to approve the Center in December, but a group of concerned citizens collected signatures to force the issue to a special election on April 9, 2019. We have the unique opportunity to visit the proposed site of the Alameda Wellness Center on Saturday, 3/16 at 11:30AM. APC’s executive director, Doug Biggs, will host the tour, so we can be better informed on this proposed answer to the issue of homelessness in Alameda and the East Bay. After the tour, stick around for a BBQ lunch hosted by Alameda Christian Reformed Church, Bay Area Chinese Bible Church, Calvary Alameda, and Grace Church Alameda. Please RSVP if you plan to attend! Why: To become better informed on the nature of this issue. Homelessness is a crisis afflicting the Bay Area. In the city of Alameda, homelessness has increased almost 10 fold in 5 years! This is an issue we should all be aware of, so that we can, in Christ, love “the least of these” (Matt. 25:40, 45). What is the Alameda Wellness Center? The Center will house 80-90 homeless seniors, provide medical respite for homeless individuals coming out of the hospital, and will also house a resource center for Alamedans who have lost or are in danger of losing their housing. For more information, please visit the City of Alameda website. Planning to come? RSVP here! When you hear the word, “Lent,” what comes to mind? Do you get visions of giving up chocolate or whiskey for a month? Does a picture of a monk—kneeling and alone in his cell, whipping himself to pay for his sin—flash before your mind’s eye? Or maybe you think of someone in your past trying to guilt you into a religious practice that, you believe, has no basis in Scripture? No chocolate for how long? I did not grow up practicing Lent. There is not a robust practice of Lent in the Reformed tradition. In fact, if anything, my fellow seminarians (and even some professors) regarded Lent with deep skepticism, recalling Medieval church repression and gospel-less spirituality. The Puritans are, perhaps, the most extreme example of this impulse, eliminating anything that smacked of Catholicism, including Lent, the rest of the church calendar, and even wedding rings. And yet, Lent is an ancient and longstanding practice in Christian history. It’s roots date to the 2nd century, just 100 years after the death and resurrection of Christ. The council that gave us the Nicene Creed in 325 A.D., also codified the practice of Lent as a period of 40 days (excluding Sundays) leading up to the celebration of Easter. And as I have sought simple, everyday, embodied ways to practice my faith in Christ Jesus, I have been drawn to ancient seasons and practices, like Lent. I want to share a few things I’ve learned about Lent along the way, link to some helpful resources, and invite you to celebrate Lent with me, beginning this Wednesday, March 6, and culminating on Easter Sunday, April 21. I hope, rather than some of the extreme, weird, or legalistic images you or I may have in our heads, that we can put in their place how our ancient church fathers and mothers viewed Lent: as a time of repentance and renewal. Rather than a time of earning forgiveness, according to Prof. Fred Grissom, Lent was a preparation for celebration: “Early Christians felt that the magnitude of the Easter celebration called for special preparation. As early as the second century, many Christians observed several days of fasting as part of that preparation.” Scholars believe that the special time of preparation may have been practiced first by new converts to Christianity in the lead up to their baptism on Easter Sunday. The 40 days had biblical significance, hearkening back to the 40 years of Israel’s wandering in the wilderness, and especially the 40 days of fasting that Christ went through after his baptism (Matthew 4:1-11). Historically, Lent has been a practical way for Christians to remember that resurrection only comes after crucifixion. We hold a privileged position as the adopted children of God to identify with our Older Brother, Jesus Christ, in his suffering and self-emptying prior to his exaltation as Lord of all (see Philippians 2:5-11). We have the mind of Christ, a mind deeply shaped by suffering and costly obedience. That said, Lent is NOT required of any follower of Jesus. No one should be pressured or forced to conform to a practice that, while historic, is not commanded in Scripture. Christ alone is King of our conscience. At the same time, communal practices like this can be a great help and encouragement to us as we deepen our pursuit of Christ in all areas of our lives. That is why I am, for the first time in my spiritual journey, going to practice Lent this year. And I’d be happy to have you join me if you feel so called. If you’d like to learn more here are a few resources to help you go further. If you’d like to talk, I am always available! Myths about Lent abound. Here are some answers to Protestant myths about Lent. The Liturgy Letter has music (Spotify playlists! ), prayers, and Scriptures to read for Ash Wednesday and the first week of Lent. We shared this guide to the Christian calendar, Seasons, from the Village Church during Advent. Their resources for Lent are excellent! 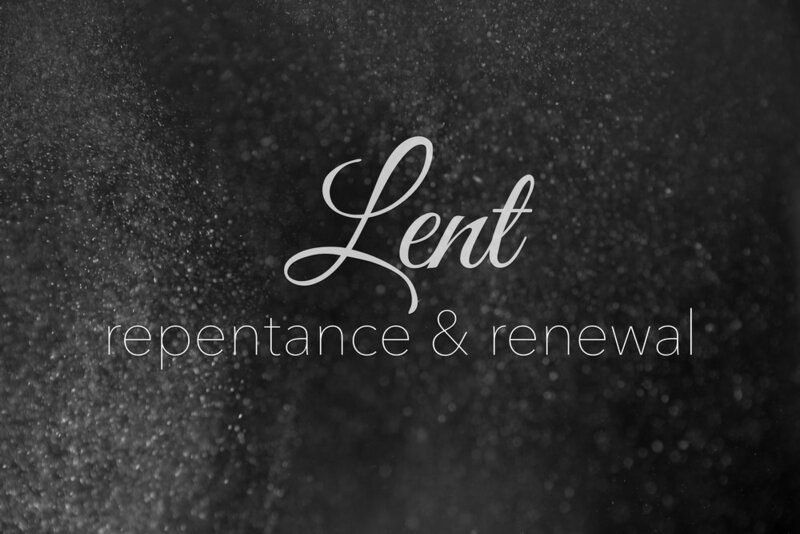 It includes things like a reading plan, songs, prayers, family discipleship suggestions, and possible things to fast from for each week of Lent. Hands at Work has invited partner churches like ours to participate in 40 days of prayer on behalf of the most vulnerable children in Africa. In our culture, we are constantly being trained to drink the sand. Not with respect to political leadership, but in the constant flow of promises offering us life and fullness in this-worldly things. Whether in shopping and material comforts, political hashtags, or Instagrammable experiences, there is a constant invitation in our culture to drink the sand. There are thousands of ways to seek satisfaction, peace, and fullness in the things of this world. As Christians we know better. Our King said it plainly: “Everyone who drinks of this(-worldly) water will be thirsty again, but whoever drinks of the water that I will give him will never be thirsty again. The water that I will give him will become in him a spring of water welling up to eternal life” (John 4:13-14). We may have heard Jesus’s words, but that does not make us immune. We are tempted to drink the sand everyday. How do we attain fullness as the people of God in our daily lives? Our theme verse for 2019 is Colossians 3:16: “Let the word of Christ dwell in you richly, teaching and admonishing one another in all wisdom, singing psalms and hymns and spiritual songs, with thankfulness in your hearts to God.” This gives a picture of the people of God, living in fullness. It begins with renewal in Christ through his indwelling Word. And that Word, once it has taken root within, flows out of us in worship and joy (John 7:37-38). That is why we are starting Grace in the Word. This will be a simple time of opening up Scripture together, examining its meaning, applying it to our lives, and praying the Word back to God. We want to be sure there are ample opportunities to dwell in the Word together and have the thirst of our spirits satisfied. See below for details, and please join us for Grace in the Word! Expectations: No commitment necessary. Come as often as you can. For those of us in the sighted world, we cannot imagine being unable to see. We are moved to pity for those who do not "see" the world in the way that we do. But Picasso's painting forces us to reconsider; his subject touches the pitcher of wine, and holds the bread, symbols of Christ's own life and death. The "blind" man may indeed "see" God far more deeply than those of us who are distracted by the busyness of the sighted world. I was super proud when I read this. I think Kathy and I have covered at least half of the list! Because we apparently have no chill. Best word of advice: “A healthy church will help you get over yourself.” Gold! To have grown up through San Francisco’s recent history is to be haunted by the visions of progressivism that did not end up where they were supposed to, that did not think far enough ahead and skidded past the better world they planned. It’s to be paranoid about second- and third-order social effects, to distrust endeavors that cheer on sensibility more than sense. It’s to have seen how swiftly righteous dreams turn into cloister gates; to notice how destructive it can be to shape a future on the premise of having found your people, rather than finding people who aren’t yours. This man is a modern saint. His ministry has had a tremendous influence in my life. He isn’t gone yet, but he will be sorely missed. School is in which means more links coming out! You know you need them! Still not done with this book but easily the most challenging book I've read all year. It's one that makes you want to buy a whole box of them and pass them out to every church member. If you want to grow in hospitality, go deeper in what it means to welcome others into your life, or simply need a good spiritual kick in the pants, you need to read this book. When I read a book that makes my mind try to argue against it and then realize I'm just trying to justify selfish attitudes, I know I'm being convicted. This book has done it for me. My wife and I are in the middle of this still but it doesn't let off at all. As with many shows in this period of high quality television, it's quite the exploration of what happens when we make questionable choices, the ramifications of justifying selfishness, and consistent failures to remember that everything done in the dark comes to the light. It's a fast pace show that still takes time to enjoy its setting. Courtesy of my wife, a reminder of how lonely our lives truly can be. There are countless articles out there about the loneliness epidemic that has hit Japan but is prevalent in many other countries. It's an interesting exploration of this plague and its intersection with the guilt/shame dynamic you often see in Asian cultures. The manner in which they've tried to overcome it is sad and a reminder of the precious gift that Christian community is. We do not simply attend the same church, we are brothers and sisters and family in Christ. We share both our joys and sufferings. Summer's going by too fast, feed your brain something that will last. An incredible show that explores power differentials that the ultra-wealthy enjoy, the cutthroat world of corporate power, and the soul-crushing hold fathers have over their children. Cynical but hilarious, dark but ridiculous, Succession both lampoons a world absolutely foreign to the 99% and challenges us why we try so hard to become the 1% in the rest of life. I'm no history buff and don't particularly enjoy reading history books. This however might be the most powerful book I've read this year thus far. Kendi tracks the foundations of the racial inequalities evident today. 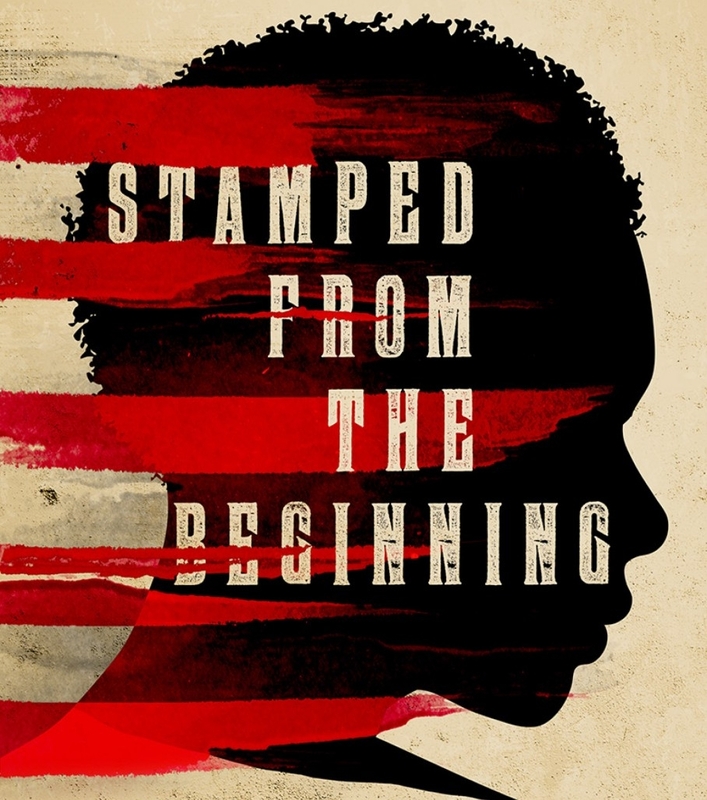 Not only does it point out political and socio-economic roots of these problems but how certain stereotypes and attitudes have developed in the course of our nation's existence. It's a hefty read but well worth the time invested. Yeah that guy. Also, my favorite past-time is watching Tom Cruise running. Children I Like - Margot!!! I mean, I like all of my children. But welcoming our fourth child into our family has been delightful in a way I couldn't have expected. She is a joy to all of us. I'm in love. Our only change at dismantling racial injustice is being more curious about its origins than we are worried about our comfort. It's not a comfortable conversation for any of us. It is risky and messy. It is haunting work to recall the sins of our past. But is this not the work we have been called to anyway? Is this not the work of the Holy Spirit to illuminate truth and inspire transformation? It's haunting. But it's also holy. She's a black woman with a white man's name. Her parents gave it to her on purpose so that she could get her foot in doors that are typically closed to people like her. This is a brutally honest, challenging book, written by a Christian woman learning to exist with dignity in the body God gave her in a world that constantly undermines that dignity. This is a collection of short stories, many of which are available elsewhere. The whole reason to read this book is for ONE story, "The Man Born Blind." It is genius and heartbreaking and opens your mind to things it should definitely open up to. Also, the title story will be interesting to anyone who has read Lewis's space trilogy. This is a short, readable biography of one of the greatest Reformation theologians, written by one of my old seminary professors. Calvin was a flawed man, but he had a glorious God and it was his deep understanding of God's Word that led him to be one of the most influential figures in Western history. Buechner is one of my new favorite novelists. 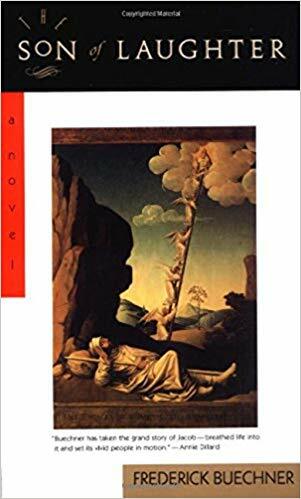 This fictional retelling of the life of Jacob (son of Isaac, which means laughter) puts you in the ancient world and makes you feel the visceral earthiness of the life of the biblical patriarchs. Apparently, August 12 is Middle Child Day. Many of our most important national figures have been middle children (Abe Lincoln!). In the 1970s, 40% of mothers had 4 or more children. Today, nearly two-thirds of mothers have either 2 or 1 child. The author claims we need middle children now more than ever. I don't know about that, but this is an interesting look at family dynamics in our culture. Jedi's inside a human body. Because, of course. I never thought I'd say this, but here it goes: Thank God Disney owns Star Wars. We already knew that old George Lucas is bad at making movies (two words: Jar Jar). But somehow, he was going to take the franchise in an even worse direction. Mickey's corporate overlords have somehow saved us. Soccer Teams I Like - FRANCE!!! The last time France was in the final, Kathy and I were on our honeymoon. And that game did not end nearly as well as this year's final against Croatia! 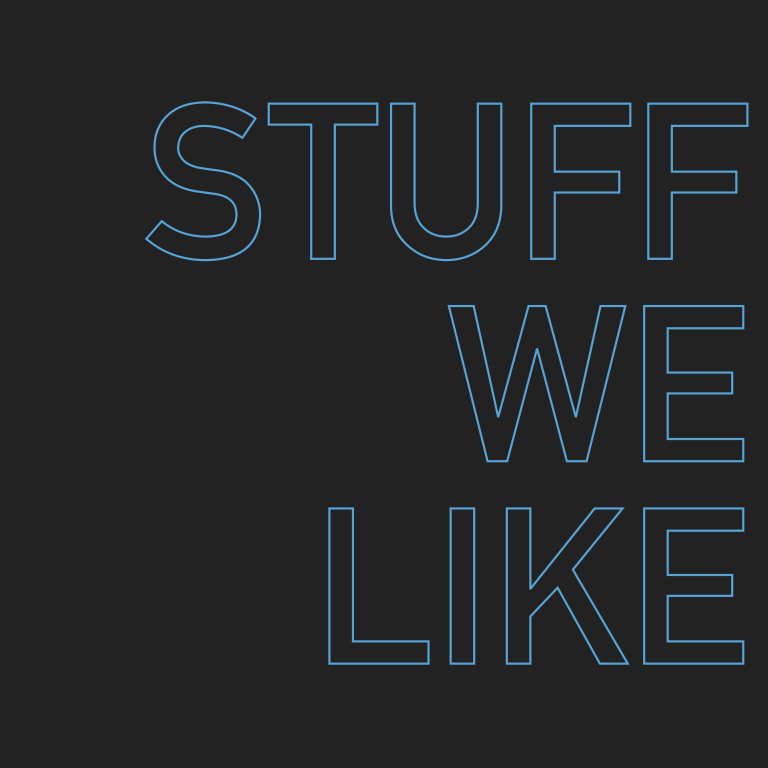 What stuff do you like? Share in the comments below! As a society, we have an empathy deficit. Ours is an age of fake news, undocumented families being ripped apart at the border, enormous economic inequality, and vitriolic political rhetoric. In this series, we will look at Jesus to help us learn to see others with the love, compassion, and empathy that he embodied. Mark 10:46-52 gives an example of Jesus and the broken. Everyone in Jericho would have known Baritmaeus as a poor, blind beggar. In Mark 10:48, we see the crowd treating this marginalized man with contempt. Contemporary Jewish literature said things like "it is better to die than to beg" (Sirach 40:28). Many in the crowd likely felt that this broken man would do better to give up and die than be such a nuisance to them as they tried to see Jesus. 2. The broken cry out to Jesus. Because Bartimaeus was a broken man, marginalized in his culture, he had nothing to lose. When he heard Jesus was near, he cried out "Jesus, Son of David, have mercy on me!" (v.47). His cry of desperation is a profound prayer that we should learn from. "Jesus" - God made himself available to Bartimaeus in the incarnation. He could call out to God because God made himself present and gave himself a name in Jesus. "Son of David" - Bartimaeus recognizes that Jesus is a King in the line of David, the promised King who would put things right again in Israel. Jesus was that King, but his throne wasn't golden. His throne was a wooden cross. "Have mercy on me" - As a broken man, Bartimaeus understands his relationship to Jesus better than those who are wealthy, strong, and capable. He knows he is broken, poor and needy and speaking to the King of kings. His prayer is a plea—not for his rights—but for Christ's mercy. 3. Jesus heals the broken. Jesus responds to Baritmaeus's request to see again in v.52: “Go your way; your faith has made you well.” Bartimaeus’s brokenness makes him throw himself on Christ’s mercy by faith. He doesn’t trust his own strength, ability, intelligence or goodness. He doesn’t have any of those things. He only has his brokenness. And THAT is why he trusts Jesus alone! His brokenness leads to faith. And it’s that faith that Jesus says leads to his healing. It can be easy in our day to think about social issues in the big picture, but fail to treat individuals who are hurting and marginalized with dignity and love. The crowd treated Bartimaeus with contempt—who are you tempted to treat that way? What kind of person is especially hard for you to love? Do you believe Christ will answer your prayers? He promises to in John 14:13-14. What stops us from believing in prayer's power? Bartimaeus cried out to Jesus in prayer because he was broken. How frequently do you find yourself broken before the Lord in prayer? Why? What is your greatest need right now? Take a moment and ask God for his help in prayer. In what ways do you tend to rely on your own strength rather than put your faith in Christ alone? How can you grow in faith and decrease your tendency to self-reliance? Bartimaeus started the story on the side of the road; he ended the story healed and on the road, following Jesus. How is God calling you to follow Christ on the road of your life right now? How is calling you to grow as his disciple? Catch up on some reading. An articles-only edition. Cosper is always a thoughtful observer of areas where Christ and culture meet. This article wisely lays out what we hope to be as a church that desires to be a faithful witness to Alameda, Oakland, and the rest of the Bay Area. We are called to a present perseverance in the places and to the people God has called us to and surrounded us with. What does that look like for you? What does it look like to do this with your church community? Technology has changed the way we do everything. Here's a look at how it affects loss and mourning over one's who are gone. How do we hold onto those that go? How might that which be a reminder of lives lost also become crushing reminders of guilt? Is this the best way we might remember those we love? Malcolm Gladwell popularized the notion that real expertise of any field only happens to those who put in at least 10,000 hours of practice. One man put into action this idea by taking up golf at 30, a sport where competitors come in all shapes and sizes but begin at early ages, and try to make the PGA tour. What he discovered are professionals don't just put in practice time but have intangible qualities of focus, passion, obsession, and drive that separate them from the rest. It's pretty much why I never made the NBA. An article I used as a resource for my sermon self-confidence a couple of weeks ago. Confidence is a virtue we lift on high but the author points out how it also deceives and deludes us into thinking we're experts in things we actually aren't. It also fools those who are looking for experts into thinking they've found one. As they say, "Fake it 'til you make it." Our culture is built on the assumption that we should all be able to serve ourselves and get what we want. This is not the way of the cross. God’s desire is not for us to serve ourselves but to live sacrificially in worship of Christ. Self-service never turns out the way we want. If anything, the ways in which we try to do things ourselves end up revealing our sinful motivations and desires. We end up treating other people as objects and deceive ourselves with an illusion of control when we really don’t have any. We’re not very good at being a god, even when we try to make ourselves to be one. Ultimately, God will hold us accountable for this selfish way of living. The cross shows us that Jesus came not to be served but to serve. His sacrifice for us is the root of why we can sacrifice for others. We see this exemplified in Epaphroditus as we is willing to be sent anywhere, willing to serve anyone, and make any sacrifices possible to honor God. He came close to losing his life in the process but his vision of ministry was made clear by the cross. A life of sacrifice brings people together in unique ways that normally don’t happen. It sets people on the same course of life together, walking in lockstep with each other. It also testifies to a watching world that Jesus is King and that he is worthy of worship. Following Jesus shouldn’t be easy and requires sacrifice. Thankfully our Savior is always serving us by His Spirit. In what ways do you see our culture being obsessed with self-service? How do the ways in which we serve ourselves actually end up enslaving us to spiritual idols and reveal our sinfulness? How does Epaphroditus’ sacrifices in service reveal the nature of what it means to serve others? Do you see this typified in how you love those around you? Have you ever suffered and sacrificed with others around you? Did it become a blessing? How and why? Why does the reality that our Savior continues to serve us by the Holy Spirit empower us to live sacrificially instead of serving ourselves? How does that change our attitudes toward everyday sacrifice? Self-interest is a cultural buzzword that some see positively but most see negatively. Some accuse the church of being this way. Nonetheless, it is actually in our self-interest to pursue unity in the church to bring glory to God in the gospel. We throw the word “self-interest” at those we believe to be selfish. At the same time, self-interest, when rooted correctly, is a good thing. Scripture even points toward elements of self-interest that are good for us. Jesus tells us to lose our lives if we want to save it. There are eternal rewards promised to those who persevere in faith, who remain steadfast. This is not selfishness nor works-righteousness but a self-interest that is rooted in the gospel to honor God. Paul had to have been tempted to be a control freak. Yet the testimony of Philippians shows he had great care and love for Timothy because they shared a united love for Christ. Likewise, Timothy served with Paul out of a shared vision for gospel work. Do we live our lives with the same vision of unity in line with Christ and his church? The two men were also dependent on each other. Timothy needed Paul because he encouraged and legitimized Timothy’s calling in ministry. Paul needed Timothy’s faithfulness and perseverance in order to serve God rightly. The reality is that all the Christians we admire are not believers who operate apart from a community of faith. It is in our self-interest to live in union with the church in Christ. What do you think of when you hear the word, “self-interest”? Is it positive or negative to you? Why? How can self-interest be a good thing in certain situations? How can self-interest be good at all? Why would self-interest in the gospel be a good thing? Why would it lead us to unity with others by sharing the same vision? What was the last decision you made with a vision of unity in line with the gospel? In view of the church? Why would it be in our self-interest to consider these things? Consider Christians whose faith you admire. Why do you think community is integral to their faith? Would it be in your self-interest to grow in the community God has placed you in? Self-pity is a reigning attitude in our day and age. It’s easy to slip into but is it how God wants us to live? What we must see is how the gospel doesn’t make room for self-pity but calls us to rejoice in Christ. Self-pity exposes our self-centeredness, makes us angry and play the victim, refuses to show gratitude, and leads to self-worship. Worst of all, it’s outright rebellion against God. Paul warns the church of being like the Israelites in wilderness, feeling sorry for themselves, incurring God’s anger. Even if the outworking of self-pity isn’t directed toward God, he still takes it as a personal offense. To get out of self-pity, we need is a shift of perspective to the cross. The gospel says Jesus was my substitute and he suffered what I should’ve received. If I don’t deserve good things but get them anyway instead of the bad things that should come my way, my whole life is a gift from God. The cross confronts our temptation to self-pity and forces us to ask if we’re right to pity ourselves. When you consider all the people who have greater right to self-pity but lived in faithfulness, they are all marked by a joy in the Messiah that kept them away from feeling sorry for themselves. When we move from self-pity to Christ-centered joy, we first being to shine as stars in the sky. We serve as a witness to world steeped in self-pity, making known the unspeakable joy of Christ. It is inconsistent to proclaim Christ as Savior and wallow in your own misery. Joy also makes us sacrificial worshipers. We will be willing to step out of ourselves to serve and love others in honor of our God who did the same for us. We can celebrate the joys of others, even if it comes at our own expense. How are you often tempted to self-pity? What type of situations force that emotion to arise? How does it affect you? Have you seen self-pity affect your understanding of God? How has self-pity been debilitating to your life? Why does looking at the cross change our perspectives on our own lives? How does the gospel challenge us to stop feeling sorry for ourselves? Are there ways in which more Christ-centered joy could actually change your life? Places where you would begin to thrive rather than cave in? What does it look like to shine like a star in the sky for Christ through your emotional health? Why is joy so integral to our Christian witness? The world believes that many of our problems can be solved by having more self-confidence. What we really need is to see that self-confidence is self-defeating and why true faith is Christ-confident. The world says over-confident people must learn to humble themselves while under-confident people should learn to act more confidently. The problem for both solutions is that we’re still told to depend on ourselves. It’s foolish to think we can flip a switch and become who we desire to be. This is why faith is better than self-confidence. It leads us to be confident in something other than ourselves: Jesus Christ. Faith requires you to lose self-confidence, not gain it, to be dependent on Christ alone. There are three ways Paul drives this reality home to the Philippians. Faith relies on Jesus alone. There are always mentors and influential people in your life who will help you grow in faith but they are not God. They still fail and fall short. God’s desire is for us to put all our confidence in Him and not be dependent upon other fallen people to save us. We are to work out our salvation with fear and trembling, with the right awe and reverence of God that puts us in our proper place. Faith forces us to “come to Jesus” and realize how small and helpless we truly are. Why be confident in yourself when God has it all? God assures us we can be confident in Christ because He is still at work in us. None of us come to faith by our own power but only by the Spirit’s moving. God took all the risk, gave up all things, and made the sacrifice to love us. He alone is worthy of our faith and deserves all our confidence. How would you rate your level of self-confidence? Do you tend to be over-confident or under-confident? Why do you think that is? What are our culture’s answers to our confidence issues? Why aren’t they very helpful? Why is it about faith in Christ that necessarily draws you away from self-confidence? How is that a good thing? What does it look like for you to “work out your salvation in fear and trembling?” How should confidence in Christ play a role in this? Why should we be comforted and confident that God works in us, “to will and to work for his good pleasure?” Are there ways you’ve seen this happen in your life? Celebrate them! Grillin' and chillin' with some extra hot links. It was awhile back but there was a famous case of a man robbing a bank with a bomb strapped around his body. He had claimed that someone was forcing him to do it. This documentary uncovers the insane plot behind it all and the insidious mastermind who set it all in motion. I usually have an interest in people and things that I know I have no plans on ever emulating or attempting. Everyone involved in this race are an example of that. A race that has people ascending and descending the equivalent of Mount Everest twice and stretches over 130 miles just isn't my thing. A testament to both how crazy the human mind is to think of a race like this and how strong the human body and mind can be to finish it. An incredibly powerful story of the Spirit at work in a lesbian professor's life in revealing the truth of Christ and the importance of real, honest, intimate community. Her testimony is a reminder that God's grace works anywhere and everywhere, often in the most unexpected of places with the most unexpected of peoples. This Nobel Prize winning professor sheds light on two different ways our brain receives, computes, and responds to information and what that looks like in everyday life. It's a fun way to help explain why you think the way you do and a sober way of easy it can be to manipulate other people. What this monster-sized book isn't is a summer, lay-out-on-the-beach read. It's often easy to make shows and movies that turn strong female leads into Rosie the Riveter caricatures of empowerment and control (i.e. Mad Max: Fury Road, Jessica Jones). There is certainly space and some necessity for this to exist. What I appreciate about Killing Eve though is the show's cat and mouse game that could become that but doesn't. It goes deeper, with actresses that give performances that have more depth and nuance, leaving the viewer with less of a desire to "be like her" and more urge to feel the thrill of the chase. Our culture naturally rewards those who exalt themselves. Humility is not a celebrated trait in our world today. What we need t o see is that humility is the call of Christ and the better way to live. Self-exaltation is everywhere and happens at every age, from oldest to youngest. Yet the roots of self-exaltation go back all the way to the Garden of Eden and the fall of Adam and Eve. They were tempted to exalt themselves over God and gave in. Self-exaltation is perhaps the most anti-God of all sins. It’s a pursuit of empty-glory, a striving after the wind that only proves futile. Humility is a quality that few civilizations have ever treasured. Yet it is exactly what God calls us to in his letter to the Philippians. The problem with humility is how hard it is to identify. The moment we think we have it, we’ve lost it. False humility is evident when we can’t thank others for a compliment or doing something kind for us. CS Lewis reminds us, “Humility is not thinking less of yourself but thinking of yourself less.” False humility also can’t thank God because it only wants to give credit to itself. It pursues excellence and ambition at the expense of serving and loving others. Humility isn’t something you can work on. It’s annoying that that’s the case but it’s probably right. Humility requires you to look entirely away from yourself which is why it is so integral to the gospel. Paul breaks out in song in the middle of this passage in praise of Jesus’ humility. The road to glory for Christ only came by walking the path of the cross. For us to expect something different for ourselves is to exalt ourselves over God and make it about us. Do you ever feel like you’re “in your own way”? When something that could’ve been great for you doesn’t work out because of something you thought or did? Are you ever tempted to exalt yourself? What kind of situations or contexts do you find this to be strongest? Do you practice false humility? Are there ways in which you pretend to be humble but know you’re not? Why does CS Lewis’ quote above help address false humility? In what ways have you found humility to be the hardest virtue to comprehend? What makes it so frustrating or difficult for you to understand and embrace humility? Why does faith in the gospel naturally and necessarily lead us to humility? How does it help us grow in humility? 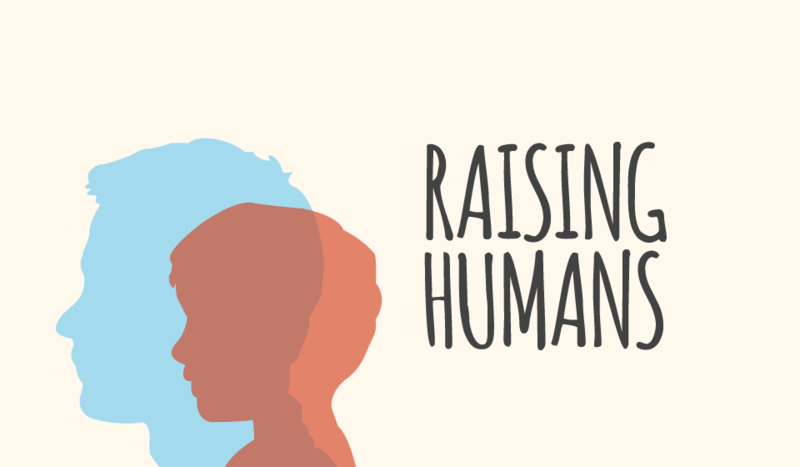 This is a recap of the latest sermon in our series on parenting: Raising Humans. When I asked my son, Jonas, what makes a good parent, one thing he said struck me: "Don't give the kids whatever they want. Because if they get whatever they want, they won't know what's right." Limits are good us—they give shape to our lives. Parents give children limits through consistent, loving discipline that reflects the discipline of God in Hebrews 12. If your whole life were rainbows and roses, it would be a mark that God doesn’t love you! It takes discipline to grow up and become our best selves. Failure to discipline a child is a mark, not of love and compassion, but of hatred and contempt for their potential. A parent’s discipline leads children to respect them. Discipline from God the Father, in turn, leads us to submit to Him. If our sinfulness leads us to try to transcend human limits, and that is an inherently bad thing, then discipline teaches us to trust, not self or sinful pride, but our loving Father. These Christians are suffering persecution. They are being maligned, scoffed at, imprisoned, betrayed. And God is ALLOWING this. It isn’t because He is incapable of stopping it. It is because He has a gospel vision for their lives. It is because He is not satisfied with where we are, but has a greater goal for where we will end up. Discipline is unpleasant. But that unpleasantness is key to growth. This is an essential component of gracious discipline. Bringing the unpleasant aspect of discipline into our children’s lives without the goal of bearing fruit is tantamount to punishment, if not plain cruelty. We have NO RIGHT to punish our children. We do not punish—by grace Christ was punished for us (see 1 Peter 2:24)! We correct and train—we discipline. We lead our children through unpleasant experiences so that it will bear the peaceful fruit of righteousness. Earthly parents are an analogy of God’s loving care for us as His children. When we discipline our children, we are participating in God’s work in their lives. When we discipline our children in love, to instruct, and to bear fruit in their lives, we are imaging our Father in heaven. Hebrews 12:3-7 teach that mom and dad get to reflect the Father and His loving discipline for their children. We discipline, in part, to teach our kids the way God created the universe to work, according to His law and the "if this, then that" principle that is a prerequisite to godly wisdom. How should parents do this? What discipline method should be used? Hebrews quotes Proverbs, which elsewhere discusses "the rod" (Proverbs 22:15; 13:24). This does NOT mean abuse, and parents must remember our authority in our children's lives is given by God for their good. Rather than prescribe method, as a church we want to encourage everyone to discipline in community. Talk with others, learn from each other, be accountable to one another. Most importantly, remember that you will make mistakes and need repentance throughout your parenting. Give grace to your kids, and receive the grace of Christ. The life stage and appropriate limits for our child(ren) are _____________. Currently, we ensure those limits are upheld in our child(dren)’s life by ________________. We will live in community by honestly sharing our discipline practices and parenting struggles with these trusted brothers and sisters _____________. Extra Credit: Ask a wise brother or sister who has spent time with your children this question: “Do you think my children understand their God-given limits? Do they understand them too well (not free to be themselves)? Or not enough (TOO free around others as to make them uncomfortable)? What kinds of limits has God given you in your life? How do you view them? What is one God-given limit that you seek to transcend? Why? What does it look like to humbly submit to your God-given limits? Do you believe that God's discipline for you (and yours for your kids) is an act of love? Why or why not? If you have kids, in what ways do you seek to reinforce the God-given law principle in their lives, "if this, then that"? How consistent are you in this? Is it easier to give your children the law or to give them the gospel? Why are both necessary to their development and knowledge of God? Is the way you discipline your children honestly submitted to Christ? Are there things about your parenting that you don't want Him to touch? Why or why not? Klay is the best Warrior on the internet. First #ChinaKlay. Now this. After hitting a three in Game 1 of the Western Conference Finals Monday, the normally quiet, reserved, most-likeable-because-he-never-speaks-up Klay Thompson blew a kiss to the Houston crowd. It was this glorious moment of competitive greatness and snark. It made my night. If you're going to read a book on how the gospel applies to parenting, there's no better book than this one. Here is an article-length distillation of the book's message, and below is Elyse discussing the ineffectiveness of rules to change our kids. This Letter to a Young Parent, by Jamie Smith, is in the same vein and speaks to our children's participation in the Christian community. Like Mariellyn said Sunday, "if it takes a village to raise a child, then it takes a church to raise a Christian!" This book has one of the most brilliant illustrations of what it means to live by faith that I have ever read!!! 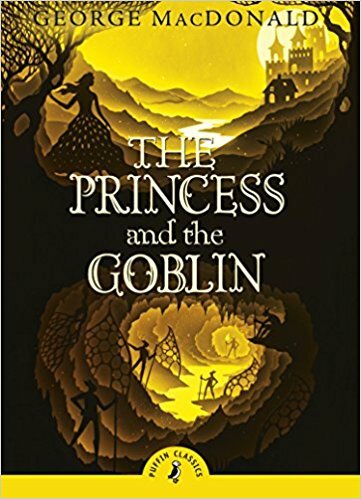 I read it to my kids last month and they thoroughly enjoyed it. There is bravery, adventure, monsters, battlers, and a fairy grandmother. I highly recommend it! Three days, thousands of titles, every six months at the officer's club on Alameda Point. The last day, you fill up a bag of books and pay $4 for it no matter how many you've got! All proceeds support the library. Next one is in October! This is a nerdy/guilty pleasure that Nate Puckett turned me on to (thanks Nate!). Starting in the 17th century, it tells the detailed story of the many revolutions that have taken place in modern history. I'm hooked. Moses lived with his mother. She died when he turned 7. He and his little sister then moved in with their grandmother. She was weak and elderly, and struggled to provide basics like blankets and soap. He longed to go to school, but they couldn’t afford the minimal enrollment fee. This was his situation until a Hands at Work care worker, Fanny, visited his home. Grace Alameda partners with our sister churches, Christ Church and Wellspring, to support 200 orphans in Moses’s community, Mcheneke, Malawi. Participate with us! (Be sure to select "Grace Alameda - Mcheneke" in the dropdown menu.) $20/month provides food security, health care, and education to children like Moses. We need a Copernican Revolution in our parenting. For 1500 years in the West, we thought the sun revolved around the earth. Copernicus—and others before and after him—helped flip that thinking on its head. The earth isn't the center of the solar system. The sun is. Likewise, we tend to think that the family revolves around the parents or the children. But we are wrong. We need a Copernican Revolution in our parenting. We need, not parents or children, but God at the center of our families. In Ephesians 6:1-4, children are called to obey in the Lord, and parents are to bring up their children in the discipline and instruction of the Lord. Christ is the sun that rises and sets on the household. Paul is subverting the conventional wisdom of his day. In the Roman world, the father was the center of the family. He owned the property, his word was law, he even had the power of life and death over his newborn children. But Paul elevates the mother to equal status in the home ("children obey your parents") and curbs the father's authority ("Fathers, do not provoke your children to anger"). Paul subverts patriarchy because the gospel does! This passage likewise subverts the conventional wisdom of our day that is more child-centered than father-centered. 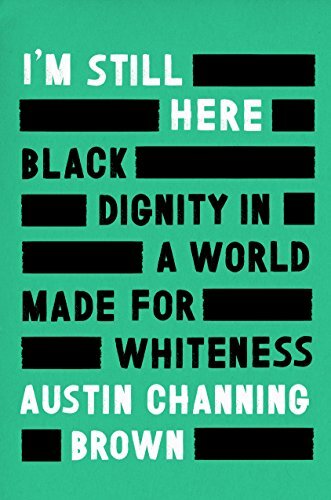 Our culture is understandably suspicious of authority—in the wake of two world wars and the systemic oppression of people of color and women, we ought to be. But as followers of Jesus, we can't simply react. We have to submit to His authority, and teach our children to do the same. Which is why Paul calls children to obey and honor their parents (Ephesians 6:1-2). When we teach them obedience, they learn to acknowledge Christ's authority. But God doesn't demand obedience for its own sake. He gives promises in Ephesians 6:3. Parents who teach their children obedience give them an incredible gift. God promises joy to children who obey. Our children's relationship to us is a scaffold God uses to build their relationship with him. An essential way we teach our kids to know and love God is by showing them that it is good to submit to His authority, by requiring they submit to ours. Jesus is the only child in human history who perfectly obeyed His Father (Philippians 2:8-11). He is proof that obedience brings joy! When we teach our kids obedience, we help them receive the joy of growing to become like Jesus. The tendency in our household is to give primary authority to _____________. The effect of putting authority in the wrong place in my household is__________. I want to work toward making Christ the center of my household by___________. When in your life have you observed authority being used rightly, for the good of others? When have you observed authority being abused? Have you suffered abuse at the hands of misused authority? In what ways is it difficult for you to exercise the authority God has given you in your life? Why? In what ways are you influenced by the misuse or misunderstanding of authority in our world? How can God's Word counter that influence? Do you believe the promises of Ephesians 6:2-3? What makes it difficult to believe that obedience brings joy? How consistent are you at requiring obedience of your children? How have you hurt their ability/desire to obey godly authority? How will you repent of this? What is one step you can take to grow in submission to God's authority in your life? If you have kids, how can you help them grow in this as well? Raising humans begins with vision. If we want to raise humans who will flourish in God’s world, we need a better vision for our kids than a school or career or future lifestyle. We need to think bigger. We don’t need our vision for them. We need God’s vision for them. In Deuteronomy 6:4-7, God tells His people what His will is for their whole lives. Not only did He want relationship with the grown-ups there that day. He tells them that they are to pass His vision on to the next generation. God’s vision for our children is this: that they would know and love God, and that WE would be the ones to teach them how. We may know God’s vision for us and our kids, but we can go astray, get distracted, be tempted. It's easy to fall into the patterns of life and behavior of the people around us that have nothing to do with God’s vision. Our vision for our kids and our parenting is fallen. We emphasize success, self-esteem, or self-sufficiency in our parenting, rather than knowing and loving the God who made us and loves us in Christ. The gospel sets us free from the fear that we will mess up our kids. It tells us we are sometimes bad parents. But it also reminds us that God calls Himself Father! He is the first and perfect parent. And He loves us with a deeper, truer, freer and purer love than any parent has ever felt for their child. This sets us free to infuse our lives and our parenting with the gospel as Deuteronomy 6:7 calls us to. As parents, the way we teach our kids to know and love God is by embodying the truth of the gospel. It means that when we feel helpless as a parent to console or care for our kids, we can bow ourselves down in prayer. It means that when we sin against our kids, we can repent to them and ask their forgiveness. What side of the "fallen vision" spectrum do you fall on? Do you tend to have a vision for your kids that emphasizes success? Self-esteem? Self-sufficiency? Something else? How can you repent of your fallen vision and begin to grow towards a gospel vision for you and your family? In what ways do you feel like a failure as a parent? How does God's love for you in the gospel meet you in that? How often do you pray with your kids? How can you infuse prayer throughout life in your household? Do you regularly practice repentance toward your kids? Why or why not? Is this something you feel free in the gospel to practice? Sundays at 10:30AM, 2521 Santa Clara Ave in Alameda. Join Grace Alameda on Slack, our messaging app, by signing up for an invite!